Many Canadians enjoy gambling at a wide variety of differing places, including slots halls, racinos horse or greyhound racing tracks with casinos as well as casino hotel resorts. 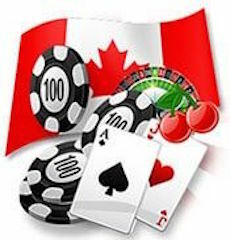 Many of the large international online casinos, including those listed on various stock markets globally will welcome Canadian players, as well as the smaller offshore casinos which US players can also make use of. 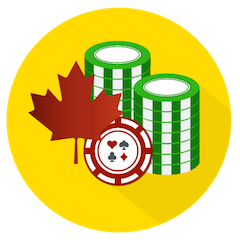 Canadians can also enjoy the great variety of casino games offered by the online market, playing at both provincial sites and the international sites. Here you’ll find a guide to casino gambling in Canada. Firstly I’ll take a look at the online scene, mentioning the options available with a section dedicated to depositing and overcoming some of the difficulties associated with it. Then move onto land-based casinos, starting with a look at each province and then move onto the games themselves you can expect to play for real money online. Many provinces in Canada have their own gambling sites, these being both very professional and well run. These online sites featuring a good range of games. You’ll only be able to play at these sites if you are a resident of the particular province plus in this case you’ll have no problems funding your online accounts to play at the casino. The other option is to play at some of the big international gambling sites. These sites have moved on immensely in recent years, offering hundreds of games, with great graphics, themed games linked with the latest TV series or blockbuster films and innovative casino offerings. Of course, you’ll still be able to play the traditional games like Roulette and Blackjack – these being on offer both virtually and in one of the popular live dealer casinos. The international sites are some of the best when it comes to online casinos, many offering a tremendous variety of slots, which obviously resonates well with their Canadian users. These sites offer a great mix of both traditional casino games and new games, these new games either being completely original or variations on existing games. For example, you’ll be able to play both standard Roulette and games like Mini Roulette, Bonus Roulette, and Multi-wheel Roulette. You’ll have a great choice of roulette games there. The live games will stream onto your computer or a mobile device. You can find roulette games for every taste plus regular European or double zero roulette variations. Many sites now host a live casino, where you’ll be playing with a live dealer via a live stream. These games are very popular and probably the most life-like casino experience you’ll see online, enhanced for many by the majority of dealers being attractive females. 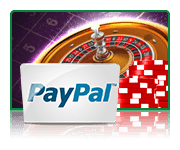 They have easy deposits, generous roulette bonus and a great selection of single zero roulette games to play for real money online while enjoying the interaction with its Canadian live dealers. There is one problem when playing at an international site when depositing of funds. In 2006 the UIGEA act was passed in the US which outlawed transactions from financial institutions to gambling companies. This has had a knock-on effect in Canada, as several Canadian Banks have subsidiaries in the US, and they avoid these transactions, not wanting to fall foul of the law in the US. Fortunately, there are ways around this, the most popular of which is to use a third party payment service like PayPal, popularly known as digital wallets. These can be funded through a credit or debit cards like Visa or Amex, so you’ll basically be adding one more step to the deposit process a little annoying, though worth the effort to make use of these excellent sites. There are ten casinos in Quebec including the highly impressive Casino de Montreal. Casino resorts are situated in Quebec City, Gatineau, Aylmer and Montreal and a number of smaller poker clubs based all over Quebec. The Kahnawake tribal lands are also situated in Quebec, this area hosting and licensing many online gambling companies. There are more than thirty venues in Ontario if you include poker rooms, slots halls, and racetracks. Around Niagara Falls there are two big casinos offering both gambling and live entertainment year-round, and a notable site is in Windsor, just across the border from Detroit, Michigan. This casino led to Michigan allowing licensed casinos on their side of the border, to stop the revenue flowing out of the US. Residents of BC have it good when it comes to casinos, with plenty of choices. The most notable are the Edgewater Casino in Vancouver, with many resort style sites having also been built in recent years. Residents of Alaska regularly visit casinos in BC, due to their own gambling restrictions. Alberta has a large number of smaller casinos, as opposed to the larger resorts found in many provinces. Some of these can be found on tribal lands, many of these being privately owned. There is a wide range of casinos in both Edmonton and Calgary. Throughout the rest of the country, you’ll find eighteen casino venues in Manitoba and several venues in Saskatchewan. The Northern territory features just a handful of casinos, and you’ll find just one in Yukon. 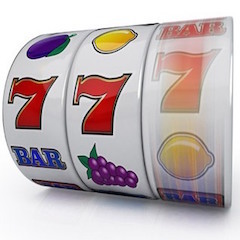 The most popular game you’ll find are the slots, rows, and rows taking the space of the casino. Table games are also a big feature, particularly Roulette, Blackjack, and Crap – with games like Pai-Gow and poker variations also featuring. Some of the bigger sites will have poker rooms although you’ll be able to play at dedicated poker room casinos. The racinos are popular, meaning you’ll have the option of that win, place or show bet, alongside betting on red or black at the Roulette table or standing or hitting whilst attempting to beat the dealer at Blackjack.